“Therefore, they can collaborate to do great things for this country. 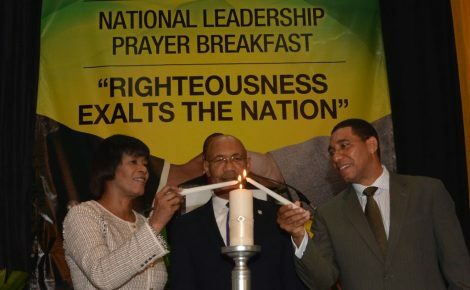 This is what the country is requesting of their leaders...Jamaica is now asking that we put her first,” the Governor-General said. This assurance, he says, comes against the background of the long-standing political careers of newly installed Prime Minister, the Most Hon. 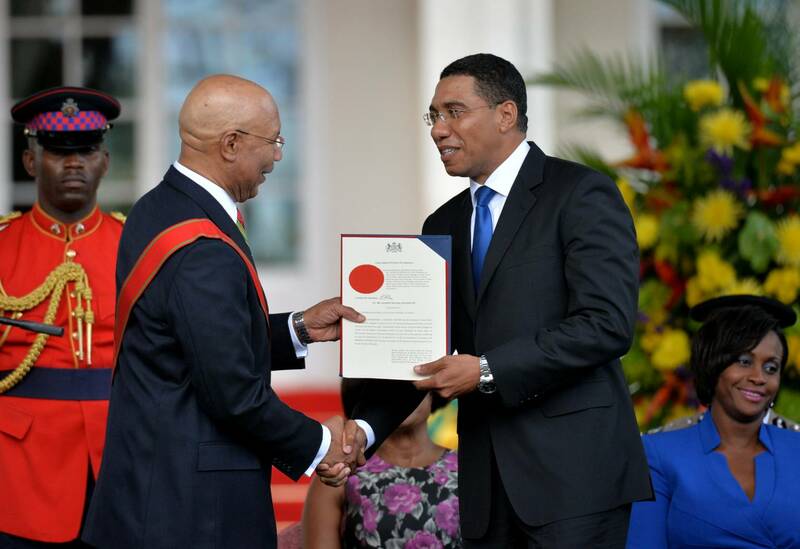 Andrew Holness, and his predecessor, the Most Hon. Portia Simpson Miller. 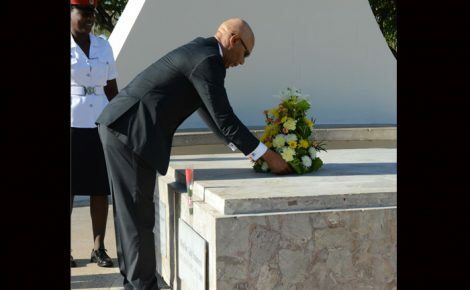 The Governor-General, who was speaking at Mr. Holness’ swearing in at King’s House on Thursday, March 3, noted that the Prime Minister is a five-time elected Member of Parliament, while the stewardship of Mrs. Simpson Miller, who now assumes the position of Leader of the Opposition, has spanned nine general elections. “Therefore, they can collaborate to do great things for this country. This is what the country is requesting of their leaders…Jamaica is now asking that we put her first,” the Governor-General said. “We, therefore, congratulate the individuals and organisations (contributing) to the successful execution of the process. 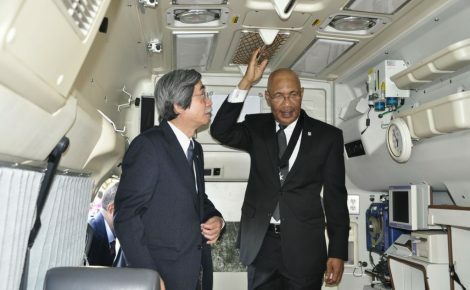 I thank the Electoral Commission of Jamaica (ECJ) and Electoral Office of Jamaica (EOJ); the security forces; the Political Ombudsman; the Custodes who facilitated the signing of the Code of (Political) Conduct in their respective parishes; and each candidate whose commitment to, and participation in the electoral process further strengthened our democracy,” he said.